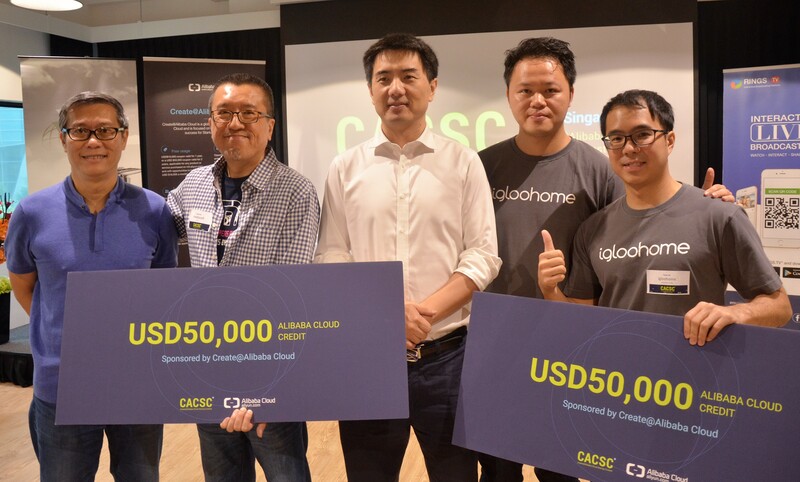 On August 26, 2016, the Create@Alibaba Cloud Startup Contest (CACSC) Singapore final was successfully concluded with two startups crowned winners. One of the winners is igloohome, a home automation company based in Singapore that has created several smart home devices, including the igloohome smart lock. igloohome smart lock allows homeowners to grant access to visitors remotely via mobile app. Its access solutions have been rolled out in the US, Australia & Thailand. Another winner is Havson Group, an entertainment technology company based in Malaysia, and their portfolio includes original IP games and free roaming multiplayer VR. Both teams will receive USD $50,000 credit to be used on Alibaba Cloud products and services and be invited to compete in the World Final at the Alibaba Cloud Yunqi Conference in October 2016. The world champion team will stand to win USD $216,000 credit to be used for Alibaba Cloud products and services, and a tailor-made marketing support plan which will give the winner access to global media exposure and opportunities to meet with investors. Check the live video for more details of the contest. At the Create@Alibaba Cloud Start-up Contest, Alibaba Cloud, the cloud computing arm of Alibaba Group, and Infocomm Investments Pte Ltd (IIPL) announced that they have signed a Memorandum of Intent (MOI) to collaborate and drive technology innovations in Singapore, built upon Alibaba Cloud’s support network and suite of cloud infrastructure services. Present at the signing ceremony was Dr. Janil Puthucheary, Minister of State, Ministry of Communications and Information & Ministry of Education, who attended as Guest of Honour (GOH) for the event. Mr. Sicheng Yu, Vice President of Alibaba Group and General Manager of Alibaba Cloud Global and Dr Alex Lin, Head of Infocomm Investments also attended. Combining Infocomm Investments’ existing initiatives for local start-ups and technology innovations and Alibaba Cloud's cloud computing expertise and resources, the collaboration will focus on extending sophisticated networking solutions and big-data intelligence to a broader base of Singaporean start-ups under Alibaba Cloud’s first global start-up program, Create@Alibaba Cloud. Alibaba Cloud will also pave way for start-ups in Singapore to leverage Alibaba Cloud’s ecosystem and to gain access to the China market as well as multiple business network resources and funding opportunities. In addition, the collaboration will foster innovative exchanges between Singapore and China’s start-up ecosystems by inviting accelerators, incubators, and start-ups in Singapore to participate in start-up activities in China and vice versa. This marks the start of a long-term collaboration between both ecosystems to drive innovation.